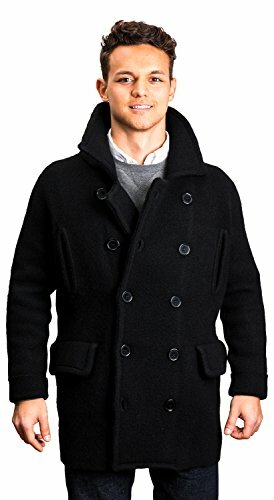 An everyday pea coat knit with Tibetan Yak's wool for softness and warmth. The classic double-breasted design is matched with traditional welt pockets and clean lines for smartness. Tibetan Yak's Wool is as soft as cashmere, and nothing is warmer. These animals come from high up in the Himalayan mountains, and if they can stay warm all winter, you know their wool will keep you warm in wherever life takes you: from city to country, from the mountains to the sea.